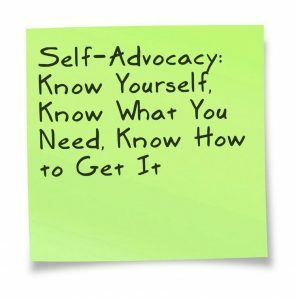 Learn to be your own advocate, both as a patient and in other areas of your life. Deidre and JG were joined by Sara Merwin, co-author of the book The Informed Patient which is a guide to asking the right questions to protect yourself in the hospital and get better care! This show comes on the heels of Deidre going through a planned procedure involving a hospital stay. Through this experience, she learned the hard way that you need be prepared to be your own advocate. Listen to this fascinating episode to find out how to make sure that you get the best information, the best care, and even have more control over the length of your stay. This information is not only helpful if you are going to be a patient, but has wider implications for being your own advocate in other aspects of your life! Also, listen to find out how you can win a free copy of the book! Bottom line: take responsibility for your healthcare. Do you not give up this responsibility. If you see a change in your loved one’s health, immediately get help. This is the exception to the “well-mannered” advocate rule – there are times when you need to be insistent! You need to have patience. It’s not first-come first-served. It’s about who is the sickest – the triage nurse makes the assessment on each patient’s level of sickness and orders the care accordingly. Remember, this situation is constantly changing while you’re waiting – those who are more sick or injured may show up while you’re waiting. So, you need to be empathetic. Put yourself in the shoes of those around you and keep in mind that this system – while frustrating – is exactly how you would want it to be if you were the person who just arrived in need of more urgent care. Expect to be asked the same questions again and again. This might be because you are in a teaching hospital and many there are learning. This is an important part of the healthcare process! Grab your medications before going to the hospital. Unless you have a list already made – which you should put together – this is a key to ensuring that any medicines utilized do not interfere with those you are already taking. Bring an advocate with you. The ER experience is confusing, chaotic, and scary, so this trusted person can help ensure the important questions are asked and the important information is provided. This person can even ensure every medical care provider that comes into the room has washed their hands! Patients have the right to understand what is happening with their care. This includes the right to bring in an interpreter. Patients have the right not be discriminated against. Patients have the right to receive treatment and emergency care. Patients have the right to refuse treatment. Whatever you are doing – buying a car, speaking with your boss, helping your child or family member with something – you have to be assertive. Ensure your voice is heard. Ask questions and do your research. Make sure people know who you are, so that you are not just a number. For instance, in a job interview, you need to make sure your voice is heard. Don’t be afraid to “bother” people with questions or requests. If a question needs to be asked, you should ask it! Knowledge is power – learn everything you can to ensure you are a better advocate for yourself or others. Act like you’ve been there before so the other person understands that you are not going to be passive. Trust your gut. Trust but verify. You have to take control of your life and be accountable to yourself. Use your voice. You deserve to be heard. Just remember to do it in a kind way and while treating others with respect. Don’t be afraid to ask questions and even come across as not understanding or knowing everything. LISTENERS: Have you had experiences in healthcare that didn’t go as well as it should have? Do you have more advocacy wizdoms – either in healthcare of other areas of life? Share your experiences and wizdoms with us! Either leave us a voicemail at 1-646-653-9278 or send us an email. We may talk about it - or we may even talk with YOU - on the air!